What is known is the following: The files are compressed, and variable size. Considering the frame sizes, they did not appear to be mp3 or ogg. According to what was observed with the codec, it looks to use some form of bink audio. Because using 8-bit quantizers It can easily be seen in the stream. Attached is a sample file if anything else is needed please let me know. I'd love to get the sounds, plus the drop music for this incredible game. If anyone can discover, or come up with a way to extract this, it would be a breakthrough. All of the large files indexed in .mstr have a similar header and start with "1FCB"
OK! I was able to extract a piece of audio looking for the headers and was able to convert and play successfully, the question now is, is there an automated script I can use to separate and convert all of the audio? Upon further research I might have hit a brick wall. so .binka looks easy enough to extract, however previous extractors would use binkawin.asi and mss32.dll to aid in extract the files. These are not present in apex legends instead what we have is bink2w64, mileswin64, binkawin64 DLL's all of which common sense looks like they changed from 32 bit to 64 bit. I'e attached a dll if anyone can have a look and see if the original decode function from mss32.dll is still present and if so how to get it to convert to wav. As of right now the only possible way to extract any audio is to go line by line in a hex editor looking for the 1FCB header and copying that and saving it as a new file, it would be extremely painful to do it this way. Does anybody have any idea what can be done to remedy the cut off or extract this stuff with proper file names? Image link seems to be broken, so I can't see what you did. Also could you please upload one of the .wavs, any .wav. I want to check something. Thank you! I've attached the image in question, as well as a sample wave and the file before it was converted. It's crude but it works. I've got 16589 file entries in Titanfall 2's main stream bank. Average length of the files is 5047 bytes, which is pretty small. Some of the extracted files are broken after conversion with BinkA2Wav, those playable sound like truncated audio fragments. first and foremost excellent work! amazing job. I tried your first version I'm still going through converting but I managed to get around 20,000 files, I saw you updated it today I will go back and try it out. I tested the script on smaller stream banks (patch banks). It seems like data chunks with a BinkA header only occupy a small portion of the file - The rest of the file does not contain any header. Either it is stored with a special format or it is literally a big chunk of audio. The script struggles with big files. I'll refactor it when I have time. Edit: the unknown data chunk can also be some sort of "descriptor" data - e.g. file size/checksum, track mixing instructions etc. The script is now rewritten to use buffered FileStream. There's a huge performance boost, and bugs are squished. Still, all sound files extracted are fragments. I tried extracting voice banks; the fragments all sound like beginning of voice lines. The last slice of the bank is very suspicious; it's very big, though I'm pretty sure it's not a big audio file. There is definitely other data in it. Thanks for this i'm using the updated version right now. This makes me wonder now.. The original titanfall utilized multi-channel (6 channels surround sound) uncompressed audio. I wonder if the audio for titanfall 2 and apex legends is using multi-channel audio. Which is the only other way to explain the fragmented audio. Is there any possibility of decompressing the .mstr archive, to read the data perhaps even find out what audio goes where, (file names, etc.) How difficult does that look? Another possibility is that the fragments are the "indices" of the audio files. 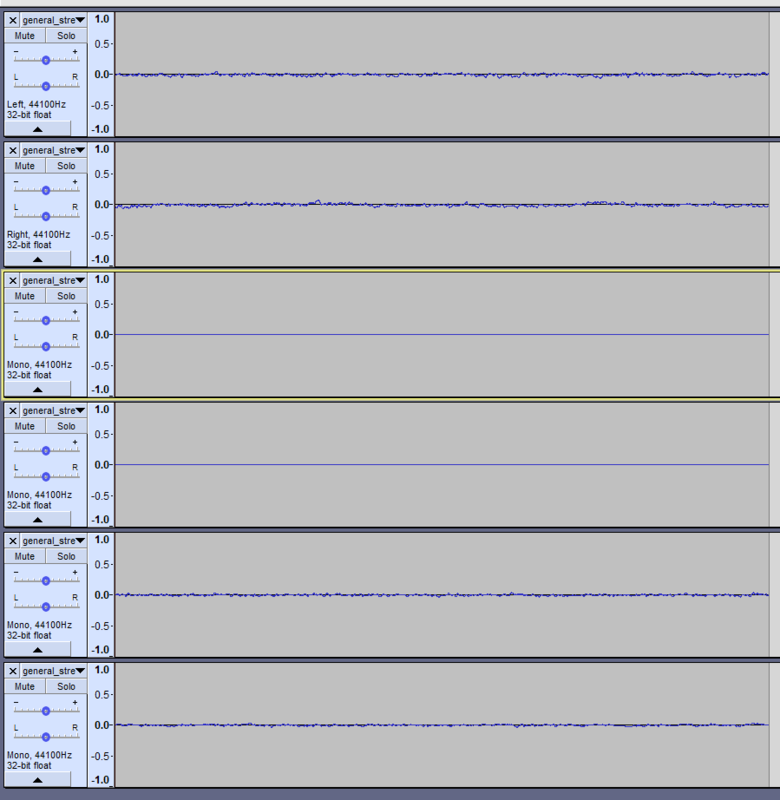 The rest of the corresponding audio asset is buried in the big chunk of data at end of file. How do you decompress the archive though? I found multiple blocks of twelve 0x00's in the tail blob. They seem like terminator blocks. Each null block is followed by two 0x99's, probably the beginning of a new data chunk. Here is a tail blob sample. The beginning of the file should be a normal bink audio file. It is! When I converted it, it gave me a full voice line, Focus, Fight, Win. However the beginning sounded like there was another line playing at the beginning. Here is the converted sample. is the beginning of a new data block. Voila, this modified file converts to five voice lines. Each one of them has a bit trimmed off at the beginning. I guess that's why we keep getting audio fragments at the front of the archive. I've attached original and modified binka files with their converted wav's. Edit: I'll see if this works on other stream banks. I haven't touched Apex Legends banks yet since they're quite big but I think they have the same format. Two questions: I tend to find these by hex values or offsets, is the offset always the same or it is a different offset every time? and is it possible your script could be modified to find and split and or get these to convert? Hope i worded that right.